Improve student writing skills today! 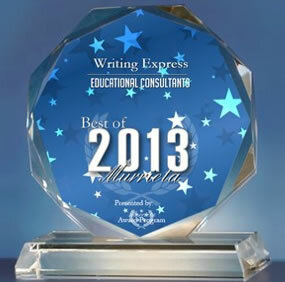 Welcome to WritingExpress.com, the home of the Writing Express system for the improvement of student writing skills. Here you'll learn about efficient ways to improve student writing, empowering students with methods to develop dynamic sentence structure, sentence fluency, sentence variety, strong paragraphs and essays. You will find new means to improve the teaching of writing, eliminating the use of traditional jargon that turns off students and instead implementing fun writing activities and unique prompts to enrich the writing curriculum and help students write with style and depth. NEW DVD Series Focusing on Better Writing Education! The Writing Express DVDs support the K-12 writing curriculum. 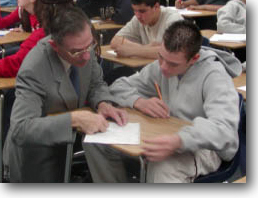 Writing Express is divided into an Overview DVD and Five Strands of Instruction. View these samples or check out our online store for more details or to buy. To contact Writing Express or Dr. Bill Spivey directly, just e-mail us at info@writingexpress.net.